Wouldn't it be awesome if you Gran's name was Turismo? 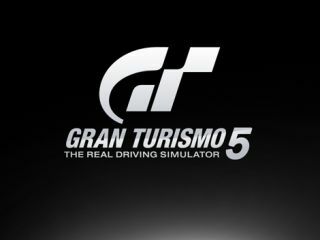 Sony has announced it has linked up with HMV for a massive gaming tournament to celebrate the release of Gran Turismo 5. The tournament will take place in HMV stores up and down the country and will pit gamers against each other to see who is the best Gran Turismo player in the country. The tournament begins 27 November and lasts for 10 days. The final will take place 15 December at HMV's flagship store in Oxford Street and will be compared [sic] by Formula One personality Jake Humphreys. What he will be comparing it to, we just don't know. Editor of Official PlayStation magazine, Ben Wilson, said about GT5: "3D is massive news in the world of gaming – it's helping an active pastime to become even more immersive. "GT5 is leading the way in that regard: you no longer just control the car, now you're actually in it. I'm sure everyone playing in the Bravia 3D tournament will delight in the technology - but only one can win it, and we're looking forward to racing against the UK's 3D GT5 champion!" For a limited time (until 5 December) Sony will be giving Gran Turismo 5 away with its Bravia TVs (when sold at Sony Centres). Although you will obviously need a PS3 to run the game – failing that, you will just have to use your imagination and spin the disc on your finger.